A water ski to introduce new participants to a sense of adventure and the experience of skiing on water; A water ski to break tournament skiers out of our routines, to reintroduce us to participating with the public and discover a new way to fall in love with skiing again; A water ski to ignite the Adventure Skiing Movement and define the EVOlution of water skiing. 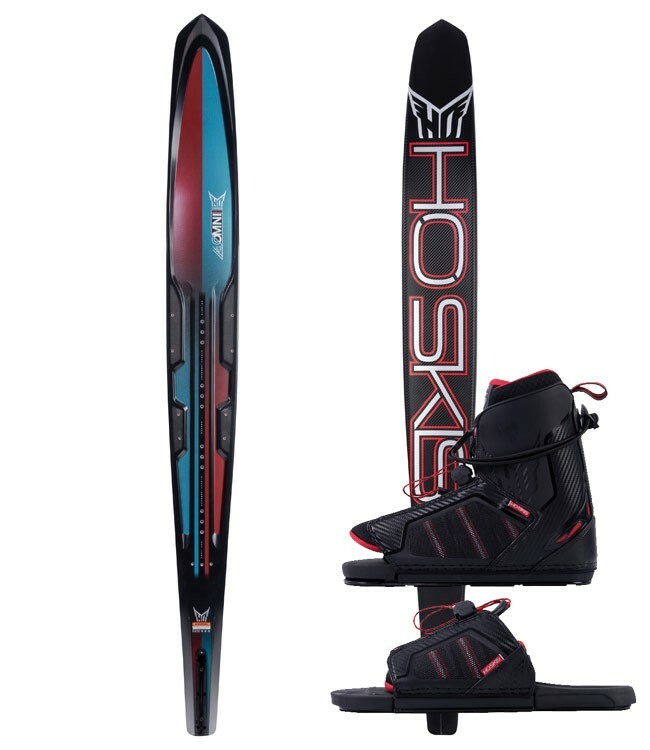 A thinly sculpted flexible body ski makes for smooth, effortless turns with unparalleled edge grip. This is due to the combination of flex and rocker that allows the EVO to continually conform to the water surface. Regardless of where the skier is standing on the tip or tail, the EVO is able to compress and give the needed turn shape and stability skiers demand. The surf inspired Fish Shape is a lower aspect ratio with wider tail, resulting in an ultra-efficient planing surface for performance at slower speeds and easier deep water starts. Clean Edge reduces drag by 50% over traditional ski edges. The EVO employs a Binding Spine: Minimized material underfoot to maximize torsional and longitudinal flex for enhanced turns, making it incredibly lightweight and flexible. 30% Softer Flex to maximize feel for more finesse skiers. Lower aspect ratio with wider tail = ultra-efficient planing surface for performance at slower speeds and easier deep water starts. Clean Edge reduces drag by 50% over traditional ski edges. Minimized material underfoot to maximize torsional and longitudinal flex for enhanced turns. 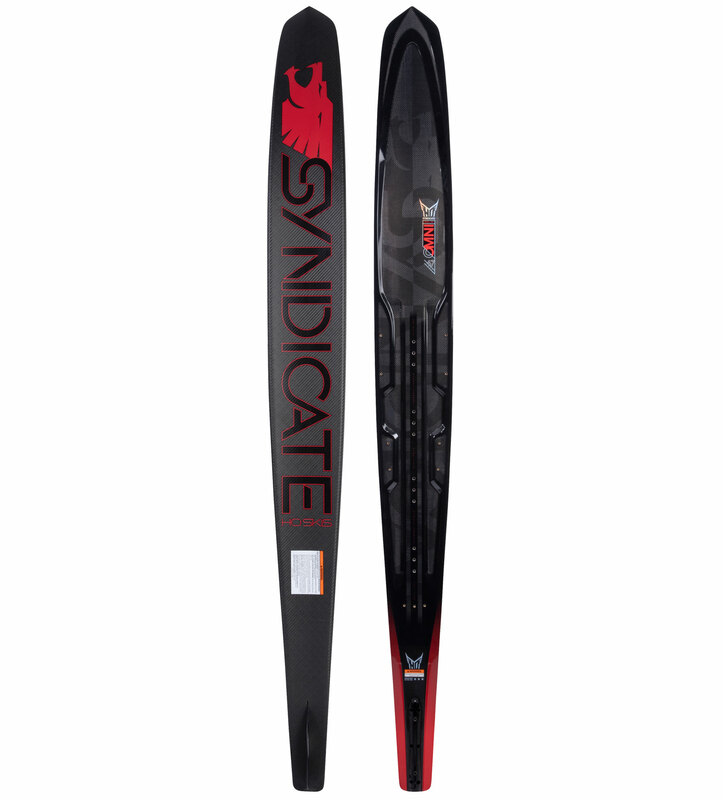 NACA Airfoil inspired 3-dimensional fin enhances ski versatility by increasing glide speed and turning properties.